I trained at the University of Wales College of Medicine qualifying in 1987. I undertook postgraduate training in paediatrics at Newport Gwent and completed Senior House Officer and Registrar rotations at Royal Liverpool Children’s Hospital Alder Hey before undertaking the specialist training programme in Clinical Genetics in Manchester. I was appointed as a Consultant Clinical Geneticist in Genetic Medicine in Manchester in 2001. My main clinical interests are paediatric genetics, cardiac genetics and fetal medicine. I completed an MD thesis on clinical and molecular genetic research in Williams syndrome and elastin gene related disorders in 2000 funded by the Birth Defects Foundation and have authored/co-authored 14 peer reviewed publications on Williams syndrome and related disorders and a book chapter on WS. In 2010 with funding from the UK Williams syndrome Foundation I led a multidisciplinary guideline development team to review available literature and produce evidence based guidelines for the management of Williams syndrome. In addition to the guidelines we produced a Personal Heath Record for Williams syndrome and a checklist for carers , all of which are available on the Williams Syndrome Foundation website. I continue to provide clinical and genetic advice to the Williams Syndrome Foundation. Prof. Dr. med. Rainer Pankau is a specialist in Paediatrics at the Children's Hospital Walsrode, Germany. He heads the Children's Hospital of Paediatrics and Adolescent Medicine. The scientific focus of Prof. Pankau is in the field of clinical genetics, especially in long-term care syndromic diseases. In particular extent Prof. Pankau has contributed to the clinical investigation of the Williams-Beuren syndrome. He works now for over 25 years scientifically with the Williams-Beuren syndrome and has published extensively on this. Professor Damien Bonnet coordinates the national reference centre for complex congenital heart diseases – M3C and the national French competence network. His main fields of interest are development and genetics of syndromic and isolated congenital heart diseases. His group has important interest and actions in the field of innovative treatments for long-term complications of cardiac diseases in children such as chronic cardiac failure and pulmonary hypertension. The M3C centre also runs a variety of programs on vascular diseases in paediatrics. The M3C centre is the main French centre for perinatal management of severe congenital heart diseases with a large investment in foetal cardiology and particular interest in neurodevelopemental outcomes of children with cardiac diseases. Dominique Declerck graduated as a dentist at the KU Leuven (Catholic University of Leuven, Belgium) and is currently full professor at the same university. She is responsible for the undergraduate teaching in preventive dentistry & dental public health and in pediatric dentistry. She is program director of specialist training in Pediatric Dentistry and Special Dental Care. In 2011 she was appointed head of the Department of Oral Health Sciences. At the dental clinic of the University Hospital of Leuven she is actively engaged in the treatment of child patients, patients with disability and medically compromised patients. She is a member of the multidisciplinary team taking care of patients with Williams syndrome. She is author of more than 110 international, peer-reviewed papers and co-author of 2 books. She is President of the Belgian Academy of Pediatric Dentistry, council member of the European Academy of Pediatric Dentistry and Past-President of the European Association of Dental Public Health. Coordinator of EPICIME (Department of Epidemiology, Pharmacology, Clinical Investigations, Medical Informatics, for Mother and Child) University Hospital of Lyon, France. • Clinical research for Children. • Meta-analysis of RCTs and Diagnostic Tests. • Methods for evaluation of Rare Diseases. Visiting Scholar, department of Epidemiology, University of California Los Angeles, 2001-2003. • Ph.D. "Intermediary endpoint, long term treatment benefit and their application in pediatric population". Lyon 2006. • European Diploma in Pharmaceutical Medicine. Lyon 2002. • Medical Doctor (Diplôme d’Etat de Docteur en Médecine), Lyon 2001. • Post Graduate in Clinical Pharmacology, Lyon 2000. • Medical residency in Public Health, Lyon (1994 - 1999). • "Diplôme d'Etude Approfondie" Methods of analysis of health systems, Lyon 1999. • Masters degree in Modeling, Statistics and Epidemiology, Lyon 1997. • Certificate of “Methods in clinical pharmacology”, Lyon 1997. Dr. Gábor Pogány holds a Ph.D. in Biochemistry with three years of research experience in the USA. He has a daughter affected with Williams Syndrome (WS). In cooperation with others, Dr. Pogány established the Hungarian Williams Syndrome Association (HWSA) in 1998 to help improve early diagnosis and provide information to patients. He initiated the foundation of the European Federation of Williams Syndrome Association (FEWS) as well as the Hungarian national alliance for rare diseases (HUFERDIS). These organisations are members of EURORDIS. Dr. Pogány represented FEWS in the EURORDIS Council of European Federations (CEF) and Hungary in the Council of National Alliances (CNA). Dr. Pogány has 20 years of professional experience, and personal commitment, in health and medical research non-governmental organisations in Hungary, Europe and the United States in the fields of cancer, genetic disorders and rare diseases. As the president of HUFERDIS, he is actively participating in European Commission funded projects and was an active player of the establishment of Hungarian National Patient Forum, resulting his election as the Coordinator of the Forum. He is involved in the development of a national plan for rare diseases in Hungary. He was an alternative patient representative of EURORDIS in the European Union Committee of Experts on Rare Diseases (EUCERD) and he is a member of Orphanet International Advisory Board. I gained a BSc (hons) degree in Psychology at the University of Surrey in 2003-2007, with a research placement year at Harvard University, USA. Following my degree I worked on the behavioural and educational intervention team in a residential school for children with ASD and additional learning difficulties. I then completed an MSc in Paediatric Neuropsychology at University College London in 2008-2009. After a research post at the Institute of Psychiatry, London in 2009-2010, I moved to the Institute of Education, London, to complete my PhD under the supervision of Dr Emily Farran. My thesis examined large-scale spatial cognition in Williams syndrome (WS), and I was recently awarded the 2014 PsyPAG rising researcher award for outstanding PhD research. My research has used innovative virtual environments to examine the specific difficulties individuals with WS present with during navigational tasks. Although my research relates predominantly to spatial cognition, I am interested in the distinctive pattern of strengths and weaknesses within the WS cognitive profile, and how this poses a unique challenge for education. I am shortly due to begin my new role as a postdoctoral researcher at the Birkbeck Centre for Brain and Cognitive Development, London. My research will focus on multisensory learning in preschool and primary school-aged children, with a view to examining the facilitators and inhibitors of learning both in typically developing children and individuals with developmental disorders such as WS. Dean D'Souza is a research scientist at the Centre for Brain and Cognitive Development, Birkbeck, University of London, interested in understanding brain-behaviour relations and development in typical and atypical populations. He is currently using eye tracking technology, electroencephalography (EEG) and the event-related potentials (ERP) technique to investigate neuro-cognitive processes in infants and toddlers with a genetic syndrome (Williams syndrome, Down syndrome, fragile X syndrome). Stefano Vicari was born in Rome on June 5, 1959. 1984 degree in “Medicine and Surgery” from University of Rome “La Sapienza”. 1987 professional qualification for Doctorate of Research in Neuropsychology from the University of Rome “La Sapienza”. 1988 specialization in Neurology at the University of Rome “La Sapienza” with an experimental thesis entitled: “Alzheimer’s Disease and Down Syndrome: differential neuropsychological aspects”. 2000 – 2007, Chief of the Neurological and Rehabilitative Unit, IRCCS Children Hospital Bambino Gesù of Rome. 1998 – 2008, Professor of Psychology at Psychology Faculty, University "Santa Maria Assunta" of Rome. 2008 - 2009, Professor of Developmental Psychopatology, European University of Rome. Principal investigator or consultant in national and international research projects; invited speaker in national and international meetings. Member of the Scientific Committee of the Italian Association of Persons with Down Syndrome and of the Italian Association on Williams Syndrome. Also, he is the author of over 100 scientific publications, chapters of books and books. Child Psychiatry, Developmental neuropsychology. Memory development. Dyslexia and ADHD. Mental retardation (Down and Williams syndrome). 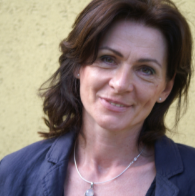 Ilona Kovacs is Professor of Psychology, head of the Laboratory of Psychological Research, and chair of the Department of General Psychology at Peter Pazmany Catholic University, Budapest. She studied for a degree in Psychology at Eotvos University, Budapest, and then spent more than 10 years at Rutgers University in the US, at the Laboratory of Vision Research. She is an elected member of the Academia Europaea; in 2005 she received the Charles Simonyi Award; in 2009 she was awarded the HAS Academy Award. Her main interest is in human vision, including developmental and clinical aspects of visual spatial integration, shape perception, binocular rivalry, perceptual learning and plasticity; the role of sleep in the ability to acquire basic skills; adolescent cortical development; the dynamic processes of visual perception; diagnostic tests and treatment designs for various neuropsychological and neurodevelopmental disorders; translational research. Róbert Bódizs is a research scientist interested in the issues of sleep, dreaming as well as state- and trait-dependent electrophysiological activity patterns of the brain. He is a psychologist (Babes-Bolyai University, Cluj-Napoca, 1997), trained in the field of human neuroscience (Ph.D. degree: Neuroscience Doctoral School of the Semmelweis University Budapest, 2002), with increasing research experience in the above mentioned fields (Habilitation: Faculty of General Medicine- Semmelweis University Budapest, 2014). His work on subjects with Williams syndrome involved EEG studies in sleep laboratory as well as natural home environment at the Budapest University of Technology and Economics as well as Pázmány Péter Catholic University Budapest. Several new and clinically relevant aspects of objectively measured sleep of Williams syndrome patients were unraveled in these studies. Julia Siegmüller studied General Linguistics, Germanistics, Speech and Language Pathology und Paedagogics from 1991-1996 at the university of Bremen. After finishing the Master degree she worked from 1996 since 2007 at the university of Potsdam, department of patholinguistics. Among other duties she developed the patholinguistic approach (Siegmüller & Kauschke, 2006) for speech and language intervention in SLI children. She finished her PHD on lexical constraints in Williams Syndrome in 2008. Since 2007 Julia Siegmüller is head of the Science Lab for SLP-research in Rostock (LIN.FOR). In 2010 she was appointed as Professor for Speech and Language Pathology at the European University of Applied Sciences, Faculty of Applied Public Health. Lucie Procházková is a senior lecturer at the Faculty of Education, Masaryk University, at the Institute for Research in Inclusive Education. She graduated in study program Teaching of Special Education and German Language and Literature and received the Ph.D. degree in special education (2009). 2002–2007 she worked in the research institute Sozialökonomische Forschungsstelle in Vienna (Austria). She participated on Equal projects which were focused on disadvantaged people and their integration to the job and society. 2007-2013 she participated on the research project “Special Needs of Pupils in the Context of the Framework Educational Program for Primary Education” and some other projects. She currently teaches courses in special andragogy of people with disabilities (adult education). In her research work she focuses on integration of persons with disabilities to the labour market and school and social inclusion of persons with physical or intellectual disability. I study special education for teachers at the Masaryk University in Brno. My academic research consists of studies on participation of people with Williams Syndrome in society in the Czech Republic, Slovak Republic and Federal Republic of Germany. I have an adult brother with Williams Syndrome; therefore I dedicated my research to this topic.